London’s finest golf experience appoints ambitious George Stillwell, son of the Chief Agronomist of European Tour, to lead its greenkeeping team. 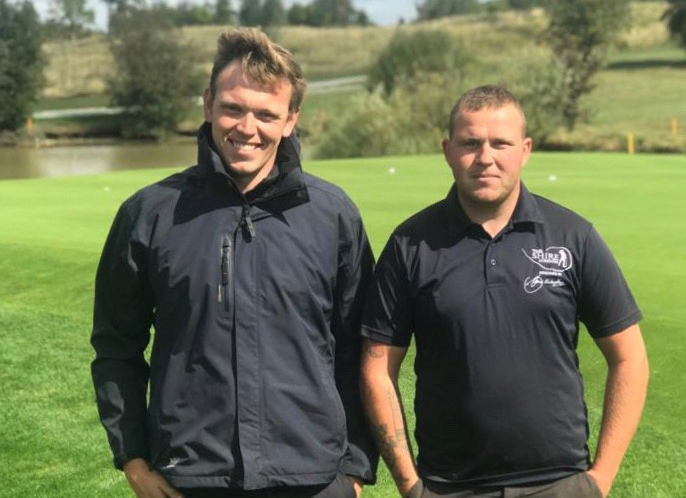 The Bridgedown Group, owners of London’s most complete golf offering, has appointed a new greenkeeping team, led by George Stillwell, as it seeks to build upon its reputation as one of the capital’s most popular venues. The son of European Tour Chief Agronomist Richard Stillwell, George Stillwell, who is still in his early 30s, will lead a youthful and energetic course management, alongside his assistant, Stuart Day. These appointments reflect The Shire London’s ambition to continually raise standards, utilising the leading expertise in the industry. Already a veteran of 20 European Tour events, where he either assisted the tour’s agronomy team or worked alongside the in-house greenkeepers, Stillwell has honed his skills from the age of 16 at his family golf club. George was also made lead agronomic consultant for the Ladies European Tour in 2014 and, has received an R&A greenkeeping scholarship for the second consecutive year in 2019. Among George’s first experiences since taking the helm at The Shire London has been expanding his knowledge alongside the Dye Designs team, who have made several improvements to enhance Seve Ballesteros’ only UK signature design. These include the introduction of the finest ‘Bentgrass’ known to the game, Pure Distinction to all 18 greens and the first steps in a comprehensive green-side bunker renovation programme.